The four pullets are finally 20 weeks old, and they’re the same size as the hens. Even though winter is just a few days away, the girls will start laying eggs soon. I’m officially on egg watch. I’ve been doing a bit of chicken reproduction research, and I’ve learned that female chicks hatch with all of the ova (potential eggs) they’ll ever have, just like human females when they’re born. So, the egg that one of my chickens hatched from developed inside her mother hen when the mother hen was inside her own egg. I sometimes think of reproduction in terms of Russian nesting dolls. Because we’re raising chickens in urban spaces, I’d say most of us are unlikely to breed chickens at home, so we tend to think of chickens only in terms of food sources. Reproduction can be confusing, sometimes because people are uncomfortable talking about it. Other times, it’s just a misunderstanding of species, though various species are shockingly similar. If you’ve ever been asked if you need a rooster to get eggs, you know what I’m talking about. 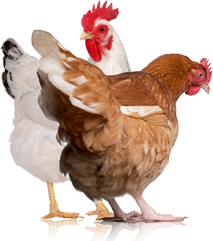 Chicken hens ovulate with or without a male partner. Birds do sort of “give birth” to their eggs, though. Egg-laying happens about 24 hours after actual ovulation. It takes that much time for the ovum to develop and pass through the system. Once it reaches the end, the hen has muscles inside that help her expel the egg, just like human birth. So, if you’re raising prolific layers, right around the time they lay fresh eggs for your breakfast, their ovaries release fresh ova that will develop into tomorrow’s eggs. Once pullets begin laying eggs, it’s important to continue offering quality nutrition and clean water because their reproductive systems don’t stop working. 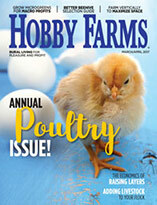 Older hens and some ornamental breeds do take seasonal breaks from laying, but prolific and young layers depend on quality nutrition to make quality eggs. 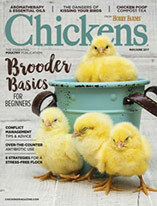 If you’re a chicken keeper who does breed at home, you know that the quality of eggs spans generations. Like the nesting doll analogy, if a hen eats poorly and her egg is low quality, the development of the ova in her chick will affect the health of the grandchicken. The Speckled Sussex, Buff Orpington and Golden-Laced Wyandotte will each lay her own personal shade of brown eggs. The Easter Egger will be our surprise. Most of the time this hybrid breed lays blue or green eggs, but brown, pink and off-white are possible, too. Despite our Easter Egger Rainbow’s name, she won’t lay rainbows; each hen lays her own color. Rainbow, is mostly pale grey, with the feathers around her neck a darker blue-gray. I’m rooting for blue eggs, but I’d love your predictions. What color will Rainbow lay? If you have Easter Eggers me know what you think.